The Calla Lily flower was used for this alphabet letter piece. 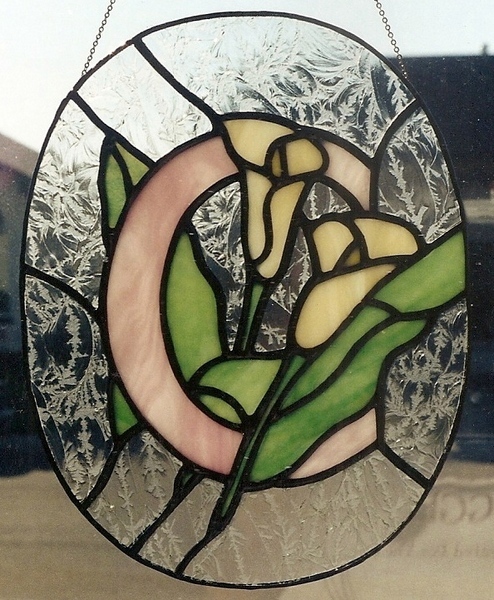 We used glue chip glass for the background, with pastel colors for the flower and leaves. As with all of these alphabet floral letters they were made some 8 – 10 years ago before we had a digital camera. Most of these alphabet flora letters were 50th wedding anniversary gifts.